Our experience base goes back to 1989. Over the years we have answered a lot of questions. Each question is good, appreciated and a teaching moment. Our clients are young and old, earnest and interested in a better life for themselves and children. Some never went to college, some will never be rich, but they are all doing their best. 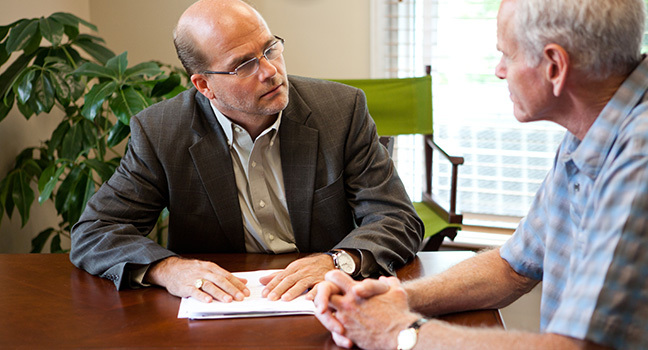 Tilia Fiduciary Partners, Inc. helps clients who are saving, spending and some of both. From their 20’s through their 80’s, our clients are from all walks of life and we do all we can to approach their investments as individually a possible. Some of the most common topics we are asked to cover are mentioned below. Are Annuities a Bad Idea? Fiduciary advisors are paid by their clients, no one else. No mutual fund, life insurance or annuity company pay us. Fiduciary advisors then do not have to rely on a commission or fee from something they sell to get paid. Fiduciary advisors get to keep their jobs when they provide sound advice. We make more money as clients’ investment accounts gain value. Our advice and actions must be in the clients sole, best interest. At the client level we begin by discovering the optimum mix of stocks and bonds. We use our meetings, a survey conducted by Riskalyze and a review of a prospective client’s current investments to tell us how to array their assets. After a prospective client transfers in, we take our time re-formulating the portfolio they had into the portfolio they need. We typically take 1 to 3 months breaking down old portfolios. We may keep some of the old or none at all. We consider cash flow and tax consequences as appropriate. So long as a client has at least $50,000 to invest we prefer using individual stocks and individual bonds. Less than $50,000 moves clients into exchange traded funds and Intelligent Investor portfolios - essentially portfolios of index funds. As a firm we meet every two weeks to review preferred investments at the company level as well as individual portfolio performance when we discover portfolios performing below par. A smart horse runs from a burning barn. A smart investor runs toward it with all their cash. Well, not exactly, but that is the general idea. A smart investor knows their time horizon, invests accordingly, and remains steadfast. A smart investor manages fear and greed with a plan. Stocks have more than tripled since the horrific lows of March 2009. Did March 2009 feel like a good time to invest ? More like a good time to throw up. December of 1999 felt like a great time to invest while the opposite was true. When clients are at a cash inflection point - meaning they have money to put to work - the first thing we do is check their target asset allocation. Their target allocation is vital. We work with clients to establish it, maintain it, update it and invest to it. Asset allocation is one of the largest contributors to overall return. Target allocation is The Plan, so to speak. We try not to listen to fear or greed and instead let the target allocation be our guide. In a word, no. There are many good, knowledgeable and reputable brokers. Just ask the right question, “How do you get paid?” If they are paid on commission or fees paid by the mutual funds, etc. they recommend, then their rewards may not be aligned in your best interests. Brokers also compete for sales bonuses, trips and deferred compensation. Find out how your broker’s recommendations impact their compensation. We spend a great deal of time and effort staying in touch, educating and supporting our clients. An educated client is a confident one. And a confident client will make smart investment decisions alongside us for the long term. Our advisors meet as a team every two weeks to review investments and portfolio performance. Each month Charles Schwab & Co., the custodian we have selected for client funds, sends statements. Each quarter Tilia Fiduciary Partners, Inc. sends performance reports detailing how each client portfolio has performed, Net of Fees. Each quarter Tilia Fiduciary Partners, Inc. provides clients our newsletter detailing news about the company, investments and articles of general interest. Twice per year we will contact you to schedule a full portfolio review - good news or bad, we call you. And of course clients are welcome to contact us anytime with questions or to schedule a meeting. Generally speaking, we charge 1% of assets under management per year. We bill each quarter and draw our fee from the client’s investment account. We deliver each client an invoice marked “Paid”. Our Form ADV - which every client receives - says we may charge up to 2% of assets under management. What’s that mean? We do not take possession of client funds. Charles Schwab & Co. holds all clients funds, cash and investments in safekeeping. We are the investment managers. We are the intermediary which means we do all the work on behalf of client investing, handling deposits and distributions, RMD’s for retirement accounts etc. Clients give us their authorization to do this work on their behalf. Client authorizations and requests are kept, checked and authenticated by Charles Schwab & Co. in addition to Tilia Fiduciary Partners, Inc.
Tilia Fiduciary Partners, Inc. will not accept your cash, your check or your credit card. We do, however, forward via overnight UPS checks and deposits on your behalf to Charles Schwab & Co. Clients also have online access directly to their accounts through the Charles Schwab & Co. website. Building an efficient portfolio of individual stocks and individual bonds and at our levels of individual service requires sufficient scale. At least $50,000 is required. Portfolios smaller than $50,000 are still important. We can work with clients and their portfolios if we can start with around $20,000 using Charles Schwab & Co. Intelligent Investor. The Intelligent Investor program uses index funds rather than individual stocks and bonds to build portfolios. Clients in the Intelligent Investor program work with us on an annual or as needed basis. It’s a great way to get started in a fiduciary environment for young families and professionals wanting to get started on their nest egg early. Some people drive a car, others drive trucks - they all go to the grocery store. IRA’s and investment accounts are similar in that they have different rules and degrees of freedom. At the end of the day each contains individual investments designed for a specific purpose. We manage all kinds of accounts including 401k’s and trusts. We know how to do that - as well as municipal 403(b) accounts. Each company and municipality are a little different. But essentially clients open rollover IRA accounts with the firm. The rollover IRA then accepts the retirement funds once the client completes the required paperwork from their former employer. The worst that can be said about annuities is that few clients understand them. They are complex investment products wrapped in an insurance bundle designed to provide a “guaranteed” return of income or principal to an owner or survivor. In order to make many of the promises of an annuity come true the expenses go up while flexibility goes down. An annuity may be the perfect investment vehicle for some, however we do not offer or recommend them. More than you are or think you can. If you can save 20% of your gross income during your earning years you will be very happy in your retirement. And generally speaking we tell clients to fend for themselves first and their children last. Think of it, do you expect your children to save for your retirement? If you spend your retirement savings - or short change your retirement savings to send your kids to college - you may be asking those same children for help in your retirement. We talk to clients about retiring with as strong a balance sheet / as little debt - as possible. Savings is the key to unlocking the door to a successful retirement. Life insurance is important and many, but not all should have a policy. Every person and family lives in different circumstance. We do not offer life insurance products because that is not part of a fiduciary practice - paid by the product. However we can offer some guidelines about whether or not a policy is appropriate and the overall terms you should look for. An untimely death can devastate the finances and security of loved ones or a business if not for the support of life insurance. Life insurance should neither be a financial windfall or the sole investment plan supporting households. A non-scholarship, North Carolina resident, full time student graduating from the University of North Carolina at Chapel Hill in 2016 cost $88,000 to get across the finish line in four years. Savings for the 2016 graduate began in 2000 at age six. He graduated debt free. Whether parents use a custodian account, 529 plan, their own account or a mason jar in the back yard is far less import than the act of putting aside money every month for the job. There are advantages to each kind of account structure, but their impact in ancillary to saving. One of the smartest plans we’ve run across entailed instructing the children that their parents would “help when we could” but it was basically up to the kids to get through on their own. Scrimping, working, saving, scholarships and loans were some of the devices their chidren used to graduate. At graduation what did their parents do ? Wrote them checks to pay off their student loans entirely. Make sure your kids have skin in the game. They will become better men and women for it. Our clients teach us every day. We do our best to know them, make good decisions, and keep our service commitment. Ask us anything. We will give you the best and most honest answer we can.